Are you a paper calendar and planner (datebook/agenda/organizer) sort of person? I am. I need my pens and paper. Digital calendars just don't do it for me. Not on my computer. Not on my phone. Not on a tablet. And I certainly don't need (or want) a watch buzzing reminders at me. Nope. I need handwritten reminders and color-coded ink. I need post it notes. I need to be able to spread everything out on the table or the floor and see the big picture. Maybe I'm old fashioned. If I am, I'm ok with that. The last couple years I've made my own. Nothing fancy. And nothing I created all at once. I'd print up calendar pages and create template weekly schedules as I needed them. Everything was fluid and adaptable. At the end of December when I started putting something together for 2016 I began to think more critically about what's most useful for me and about what features professionally printed planners usually have. First, I wanted to create the most useful planner for myself that I could so I'd be organized and on-task for the whole year. 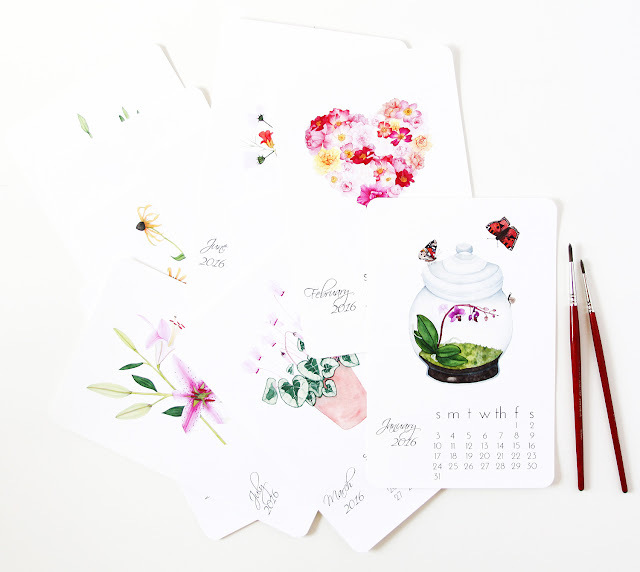 Second, I plan on designing and creating a print-on-demand planner with my art for 2017 (probably with Blurb -- if you have used Blurb in the past, I'd love to hear about it!). I want it to be pretty and functional. So far the calendar I've created for myself is very basic (and sadly, unlike my art print desk calendar, not very pretty). It's in a 3-ring binder, easy to switch out and change as needed. 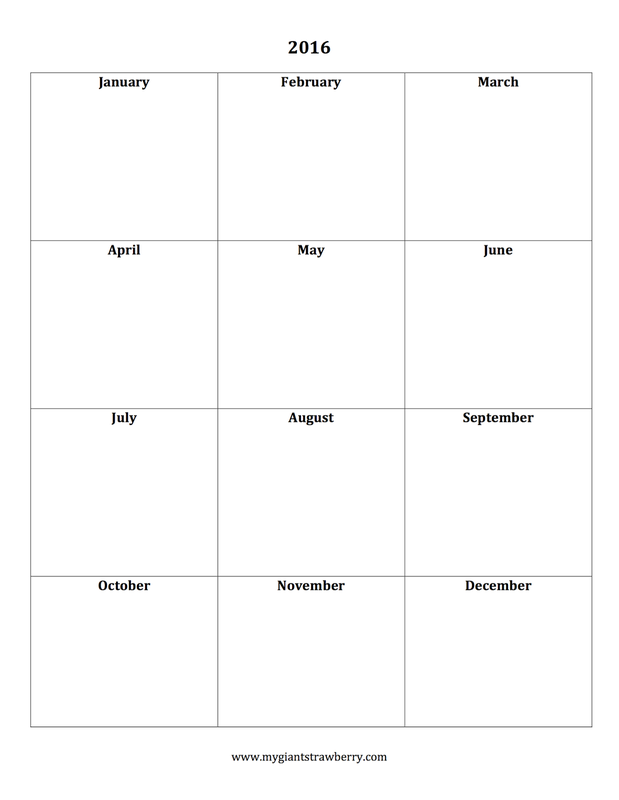 I also created a grid with a box for each month so I could jot down ideas by month, too. I made a few of that one so I could organize by type. 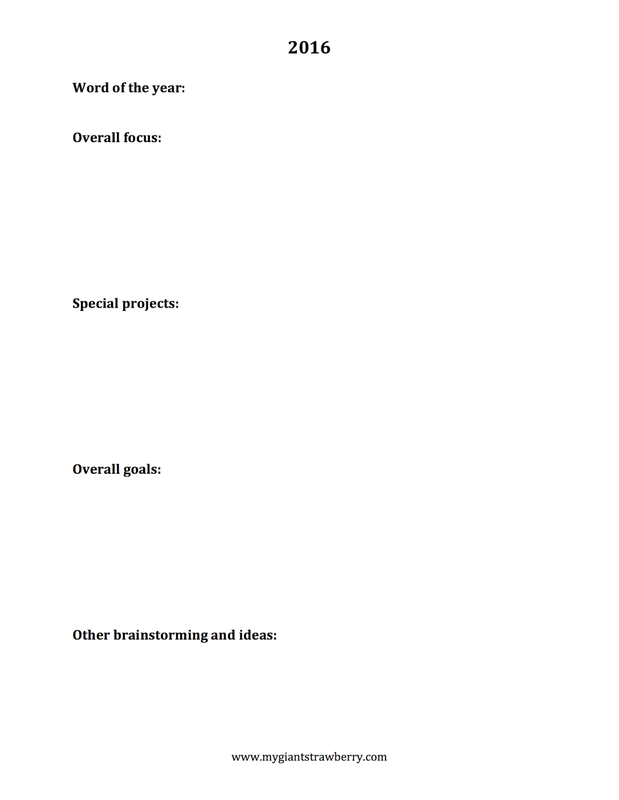 For example, one page is just for my blog. I'm still figuring out what will be most useful for me for the month-by-month sections. I have a calendar page for each month and sheets for notes similar to the first year-long planning sheet above. My printed planners for next year won't be quite so easily changed, so I hope to work out the kinks before I finalize the design. I'd love to hear your ideas and opinions about what works well for you and what you look for in a planner. 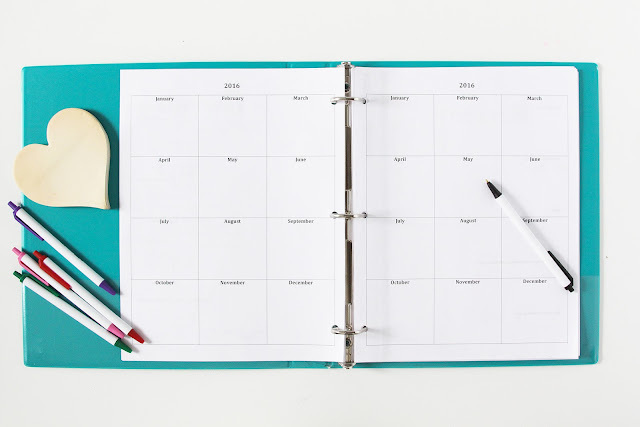 Do you still use paper calendars and planners or do you prefer digital? What size notebook works best for you? What format? Weekly? Monthly? A combination of both? 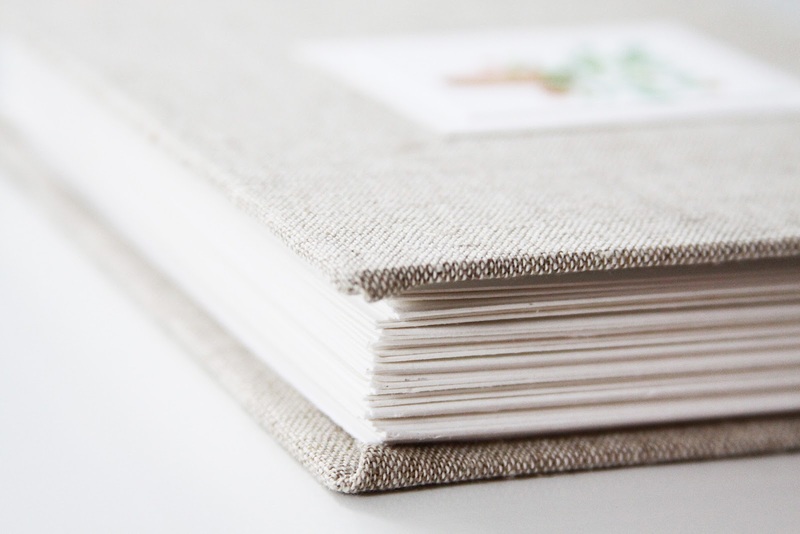 Do you want or need blank pages for each month for writing notes or just at the beginning or end of the year? Do you like to use a book with pretty illustrations or inspiring quotations or is plain and simple more your style? (I still fondly remember my Chandler's Notebooks from high school. Plain, simple and yet I loved them). 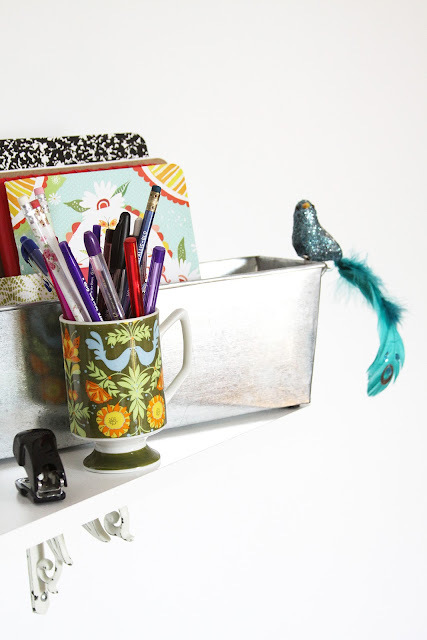 Do you want reminders, tips or other guides scattered throughout or do you just want room to write your own reminders? Would questions like "What do you want to accomplish this month" be helpful or superfluous? What do you use your planner for? Business? Personal development? Work schedule? School schedule? Your kids? Gardening? Meal planning? Appointments/meetings/etc? Birthdays? Something else? 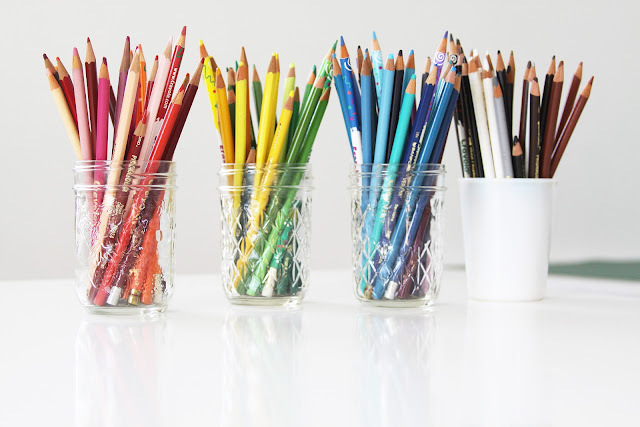 I'm so curious to know how you like to keep organized and I appreciate any insight you can share! I love paper planners - first I don't have a digital version & second I wouldn't use it if I did. There is just something about that sprial bound book or cloth covered planner that begs me to open it and make entries. The one I bought for 216 includes moon phases & astrological info as well as essays & recipes. I prefer the kind that shows a week on two pages with room for appointments & reminders but no wasted space. The pictures of your journals & planners made me smile. Your 2016 planner sounds wonderful with all those extra goodies. You've certainly got me thinking about what sorts of extras I can include in my planner for next year. I never considered recipes or essays. I also like having a week spread out across two pages, though I also like to be able to see the whole month at once. Still pondering all of your questions, Anne. I use a monthly planner these days to keep track of appointments, meetings and birthdays. It's 7 1/2x 9 1/2". I also have a coil bound notebook where I keep a running list of all sorts of things (I call it "my brain on paper"). On days when I am in my studio I use a scrap of paper to keep track of what I want to accomplish that day. I also have a little notebook tucked in my desk where I list books I've read in the front, and a list of book recommendations in the back. There's also a notebook in my nightstand where I write (at least) three gratitudes at the end of each day. It all sounds a bit scattered, but it works pretty well for me. I'm a paper planner, too! I have lists upon lists upon lists saved on my phone, but when it comes down to setting goals I need to see it in front of me--old school. 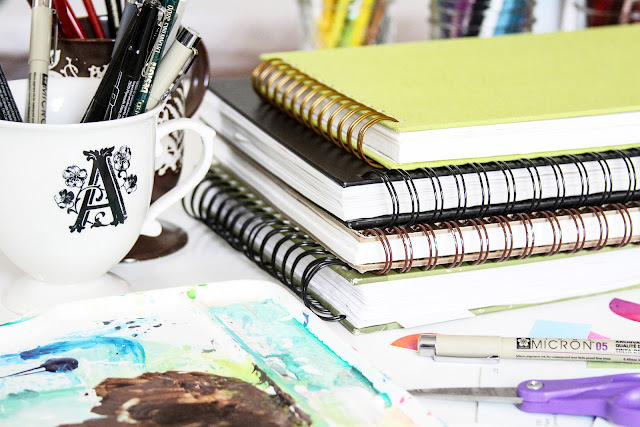 It's funny you wrote this post because this year I'm struggling to find the perfect planner. (Maybe it's that I'm procrastinating and using that as an excuse.) To answer your questions: I've always preferred a smaller notebook type, with pages that open and fold flat (perhaps spiral). I like to have it to go weekly because I need to see what's coming up, but I need to have pretty pictures, of flowers of course. ;) Space to jot down enough goals for the day is important and it's nice if it also has a section for random notes. Hope this helps! Isn't it hard to pick just the right one? And I've been there, procrastinating, too, which makes finding a good one even harder! Thanks for sharing your thoughts, Laurie! How sad that your special book is now out of date. But I know what you mean about not wanting to spoil things. Glad you have something that works for you. Thanks for the feedback! Spiral bound, small enough to fit in a purse or tote, but not too small. ~5" x 8". I like a monthly spread at the beginning of the month (and please start on Sunday! I bought one that started on Mon and I had to get rid of it, too confusing). Then a week at a time across two pages, preferably unlined within each day. (Lines to separate the days are okay). Scattered quotes, pictures, tips etc are good. I only need blank pages at the back of the book. Hope this helps. Thanks for sharing your thoughts, Tracey! And I'm totally with you on the Sunday start for the week, too! Such great feedback I've gotten and I'm so glad to see some similar thoughts appearing again and again.